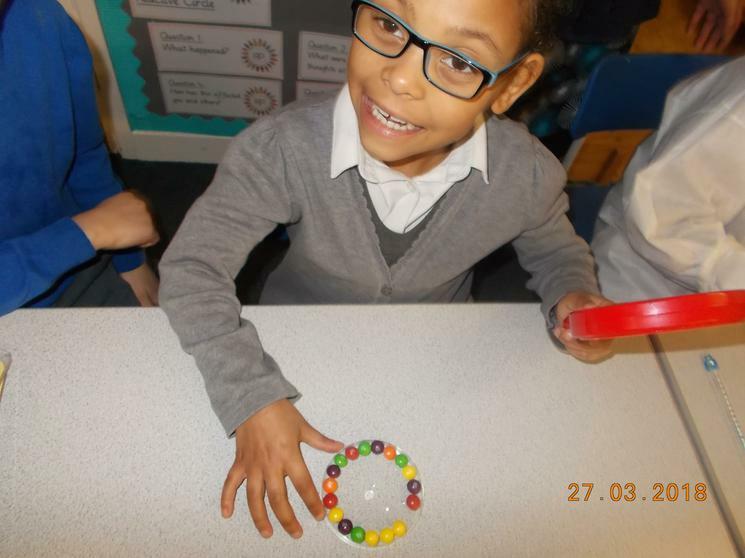 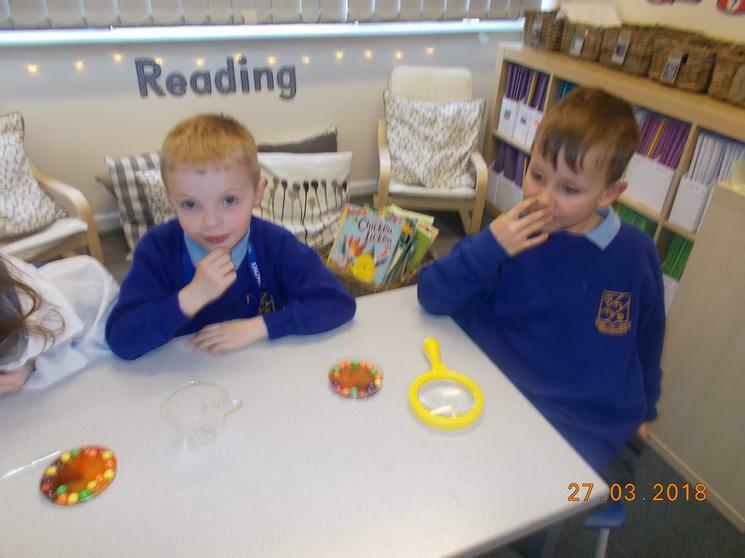 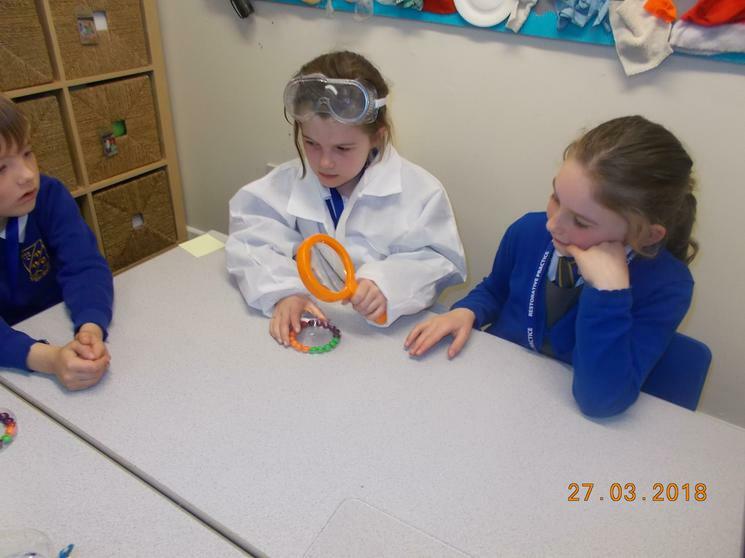 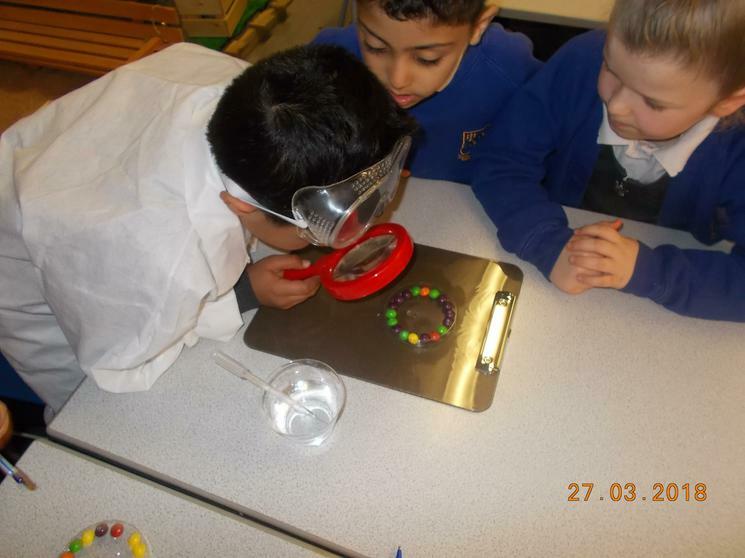 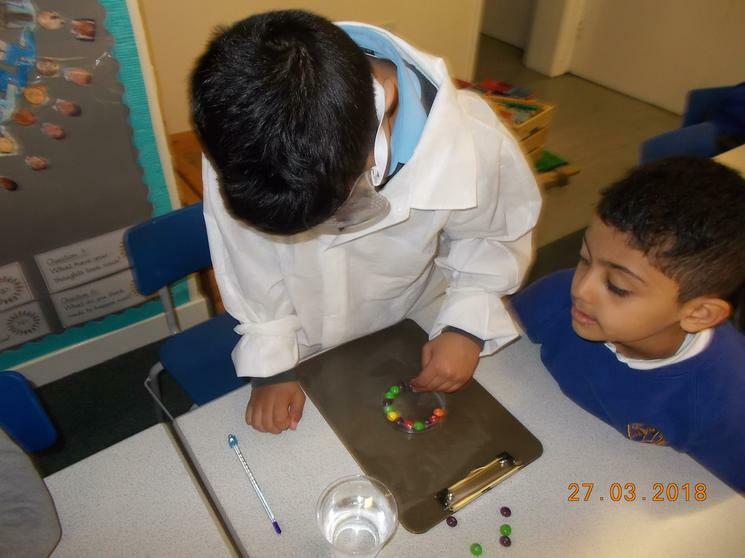 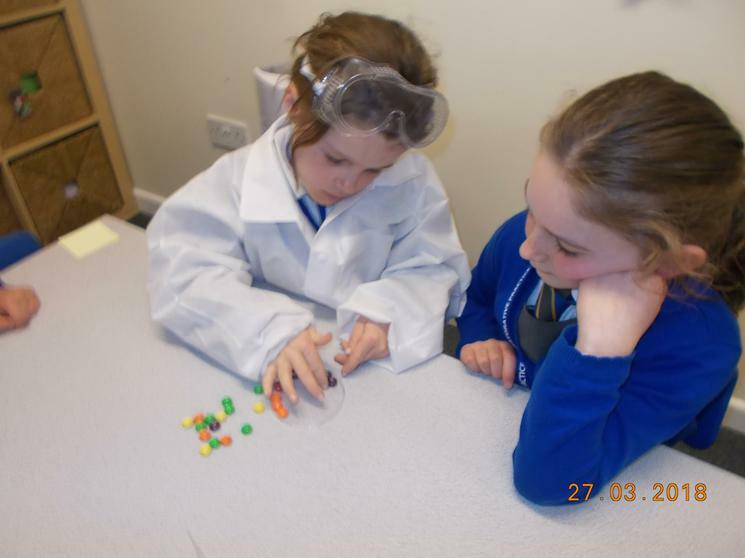 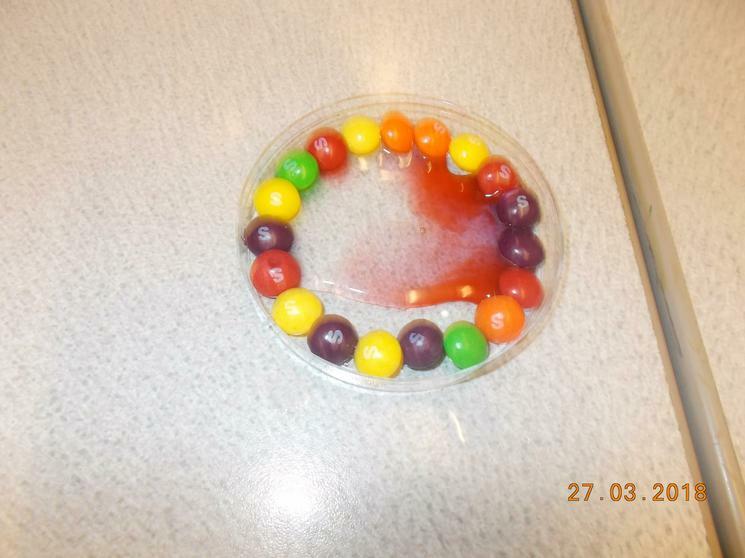 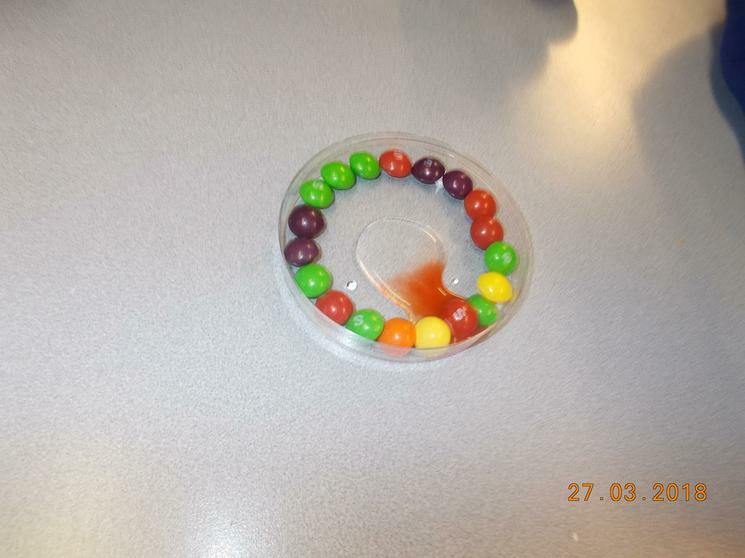 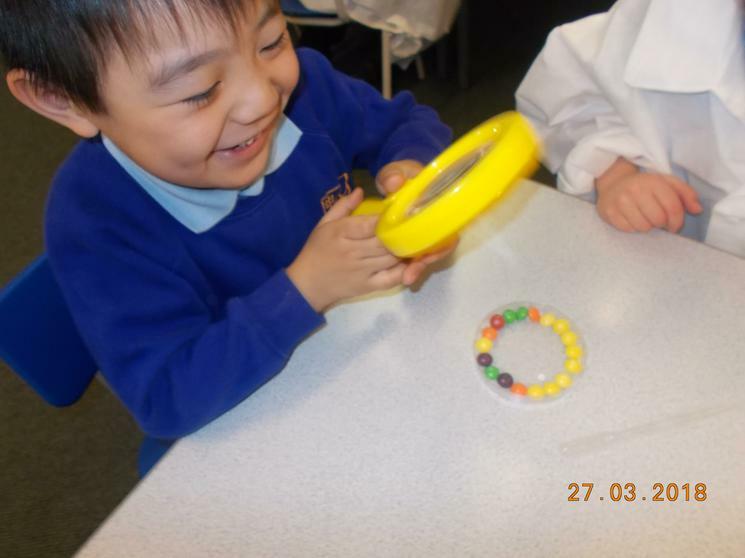 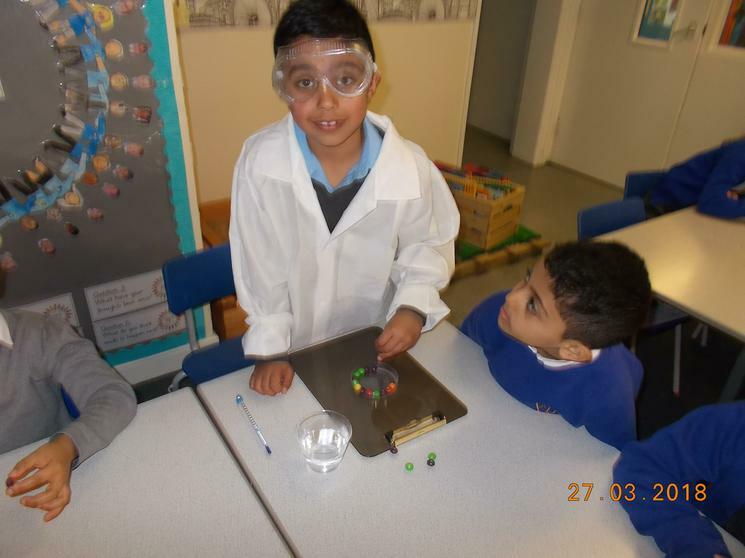 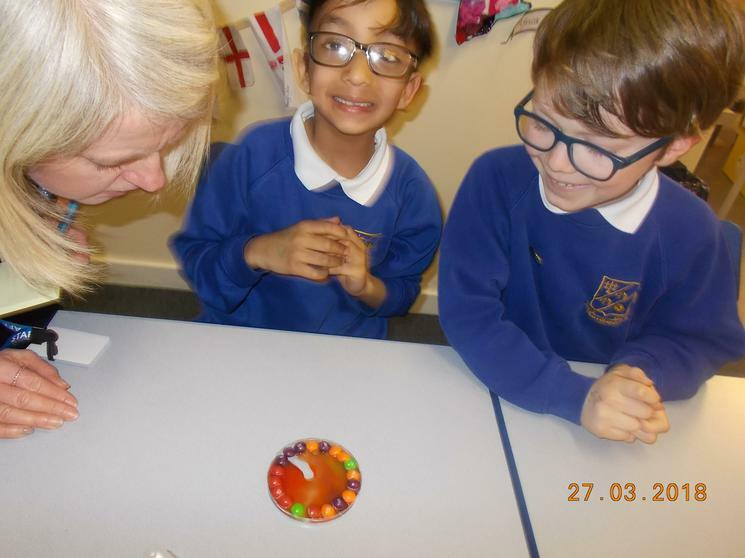 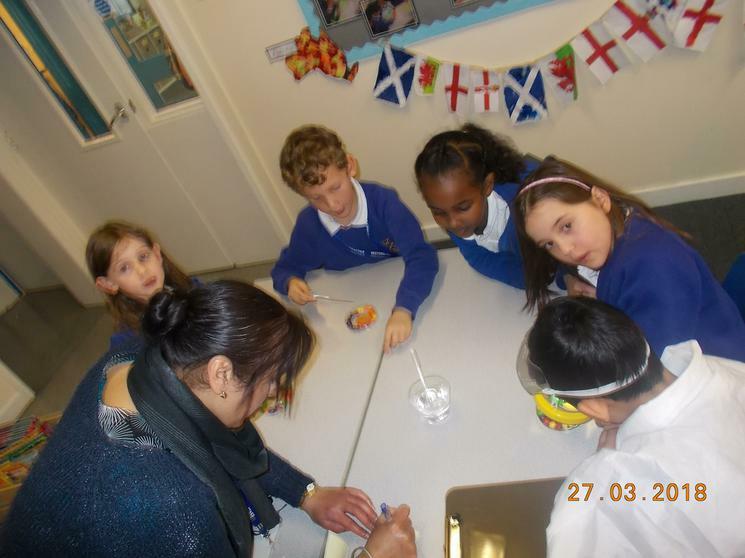 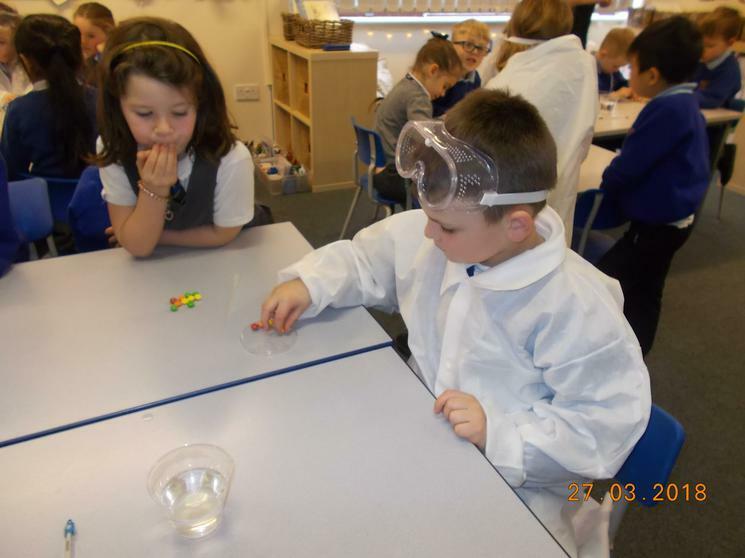 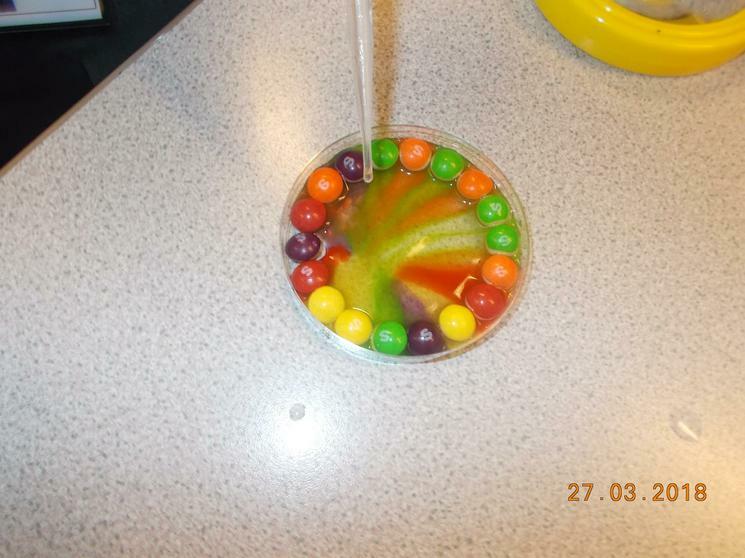 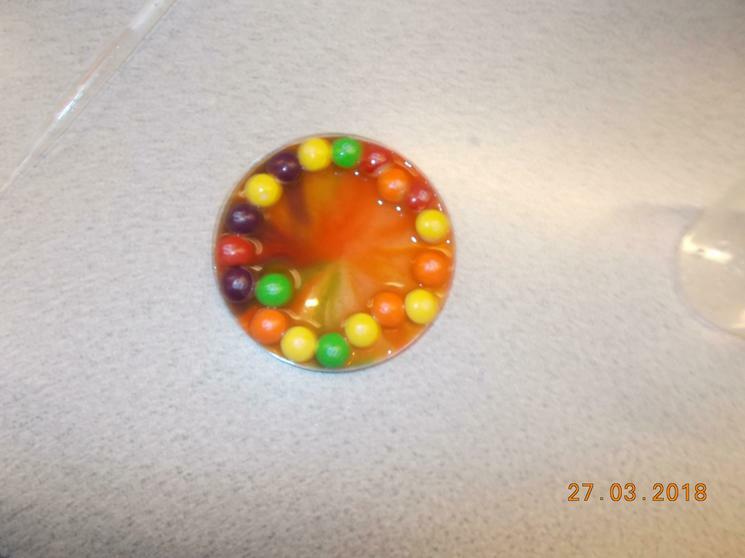 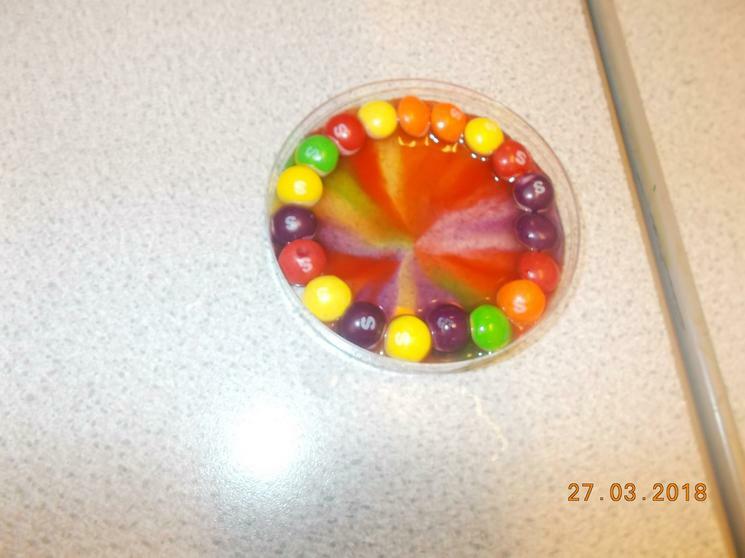 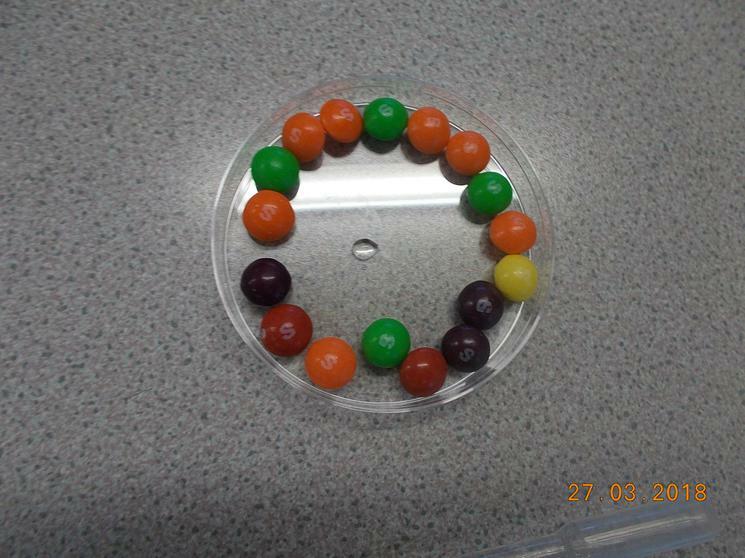 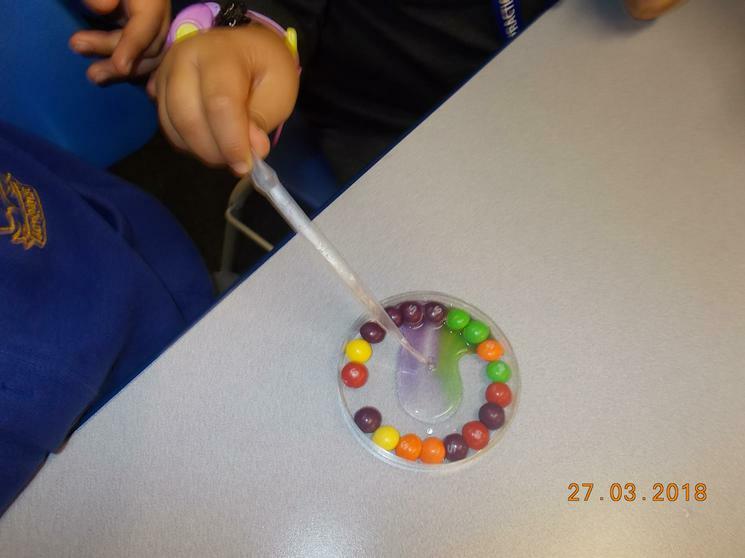 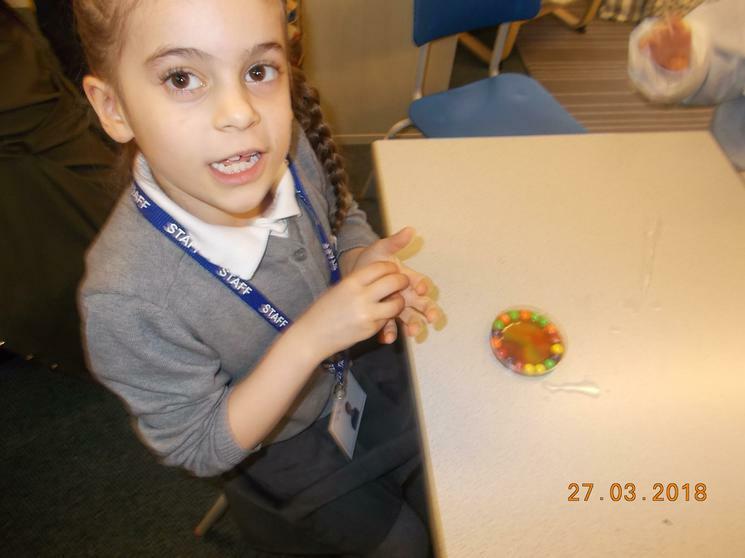 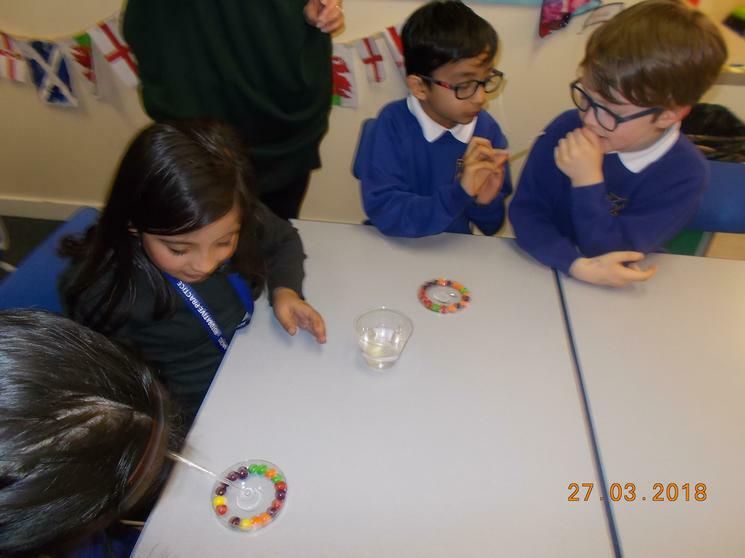 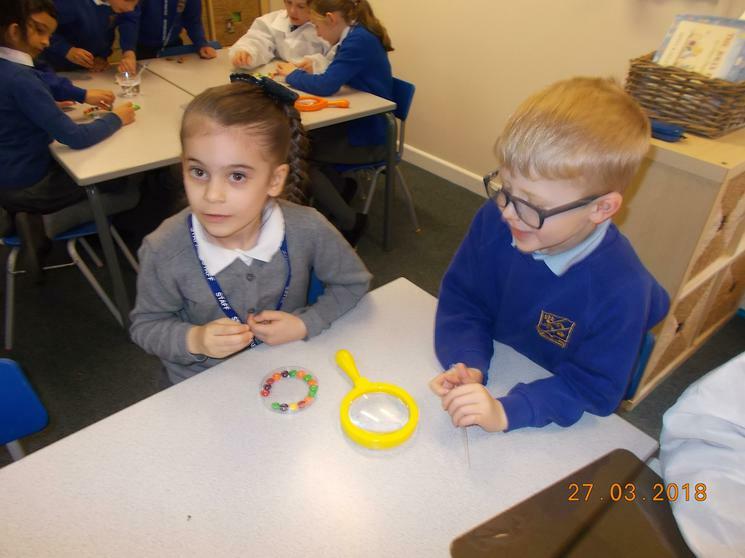 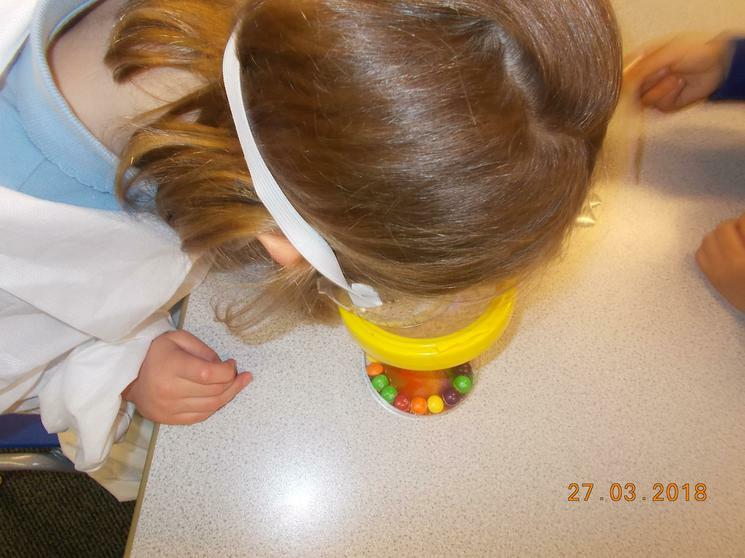 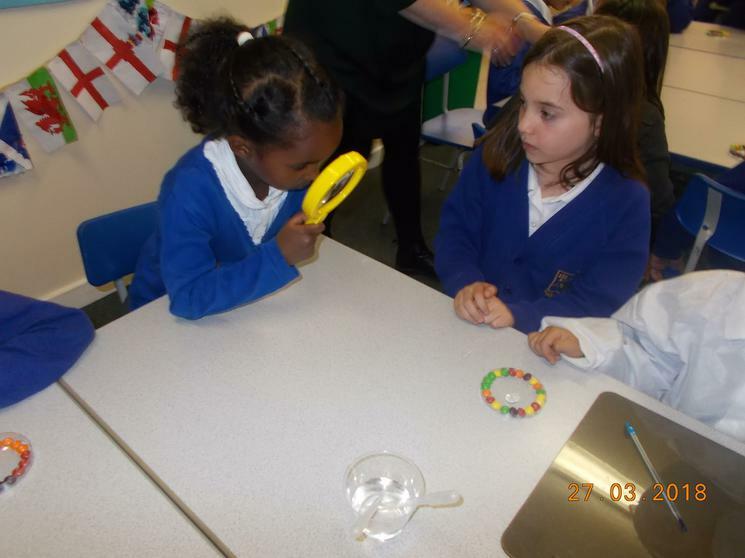 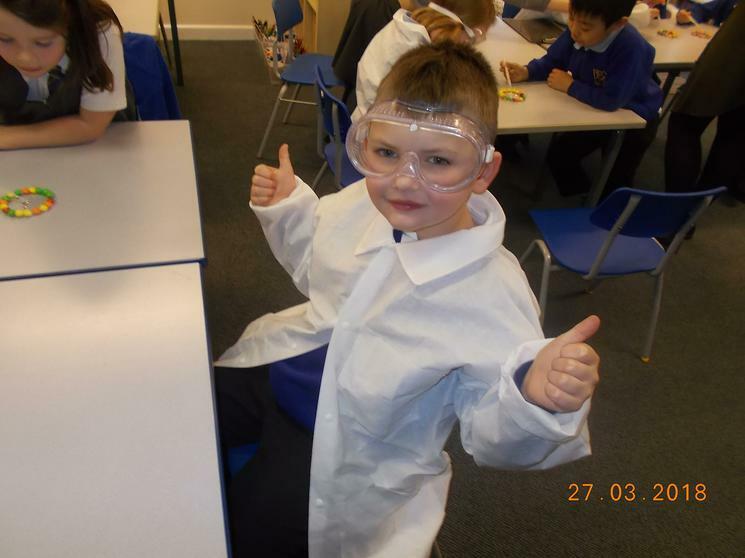 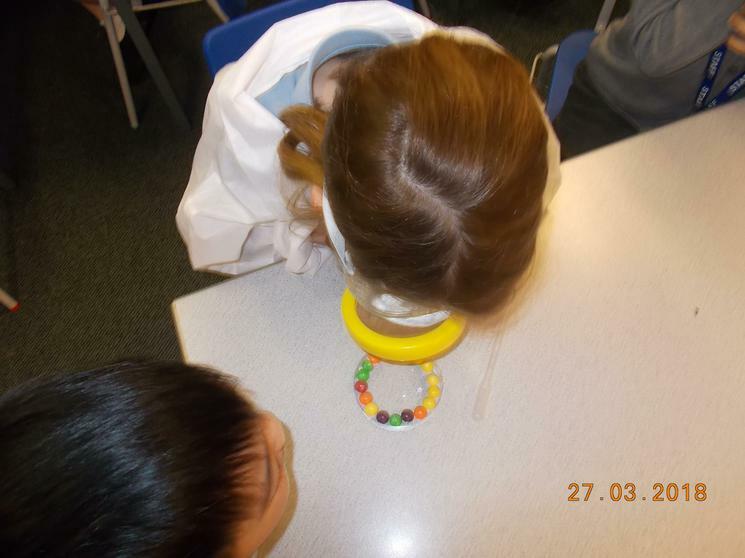 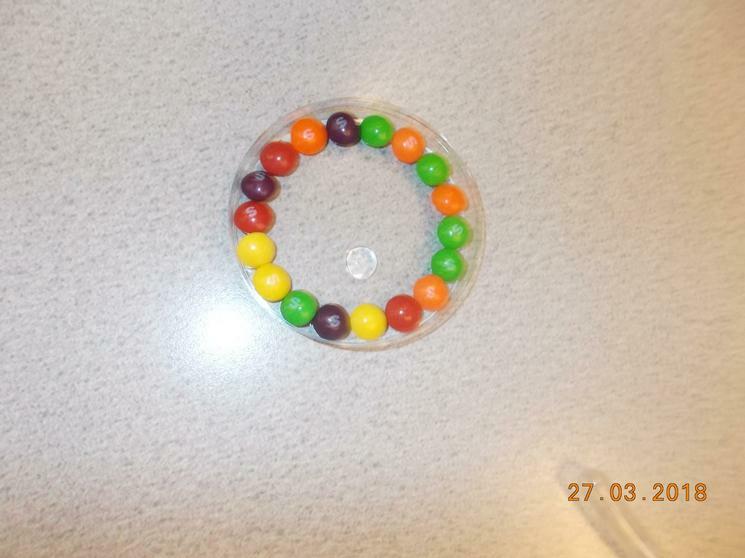 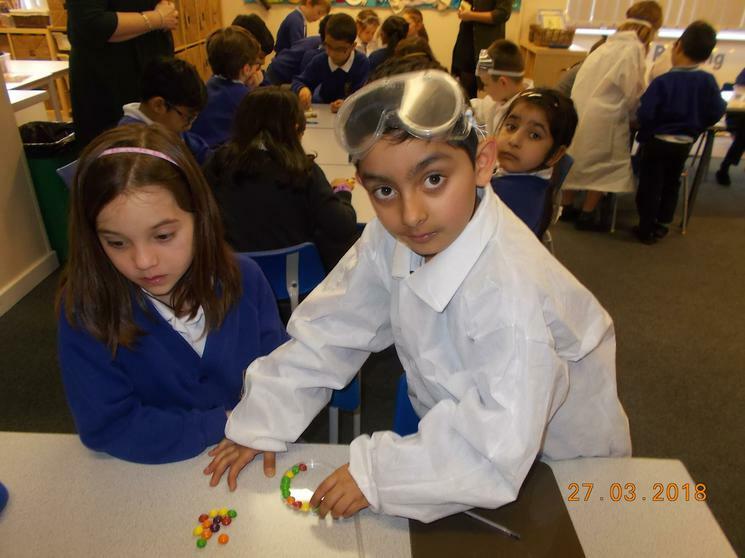 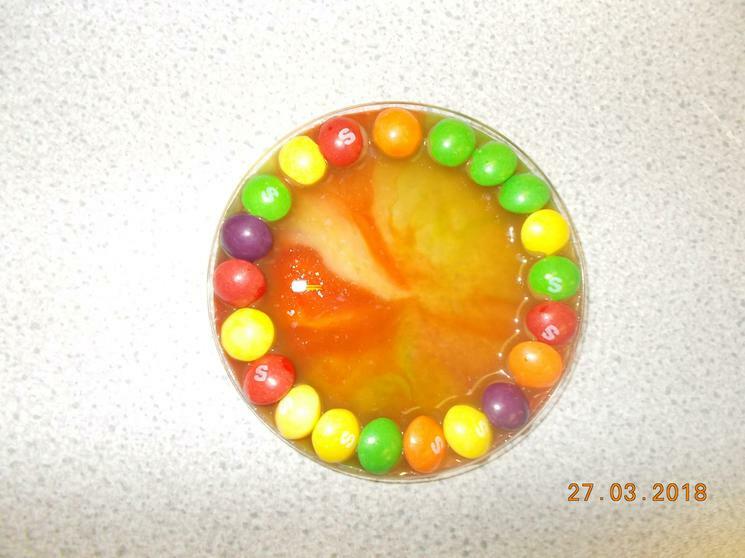 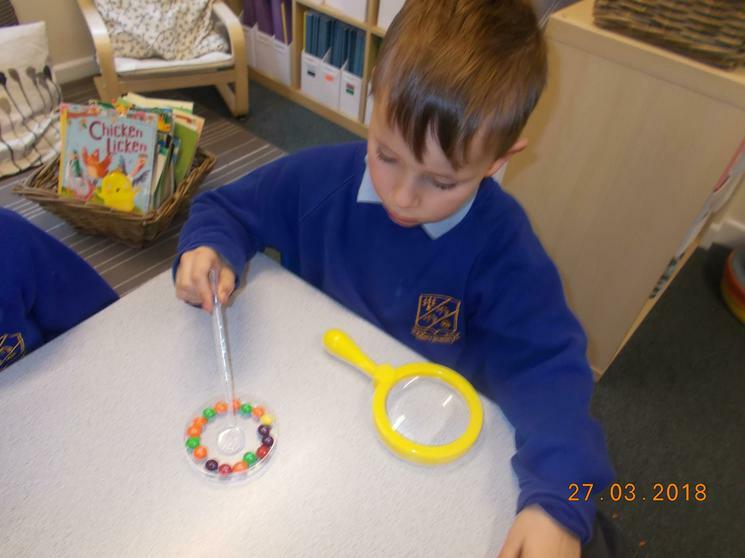 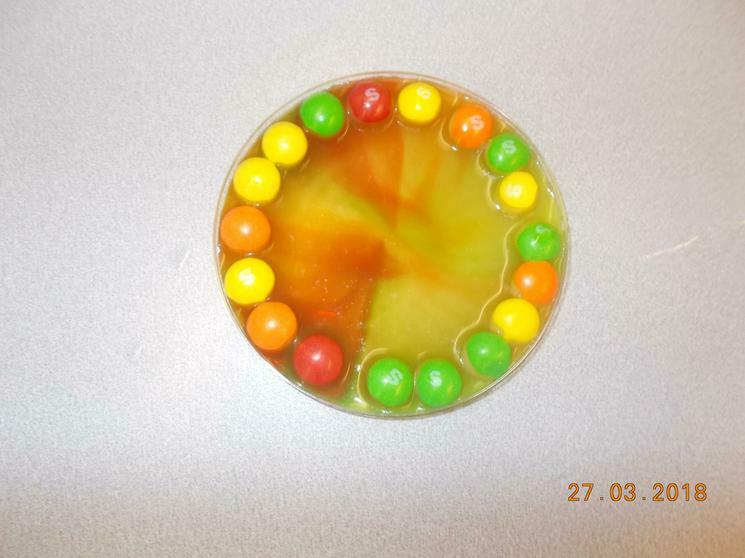 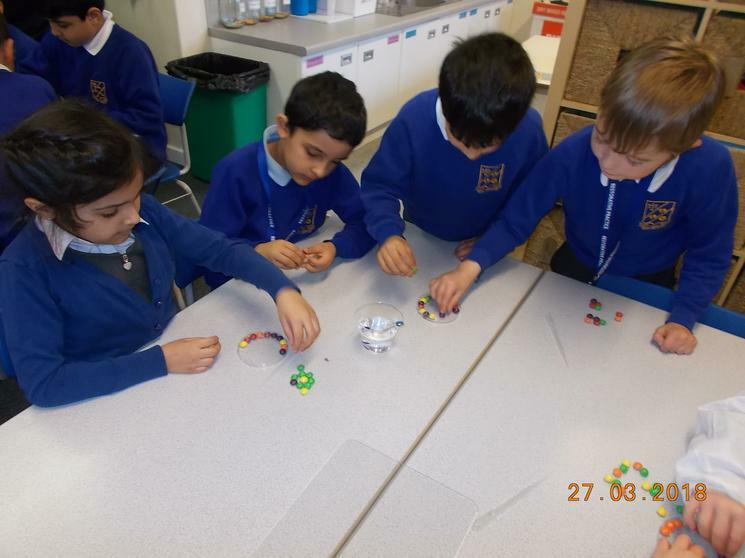 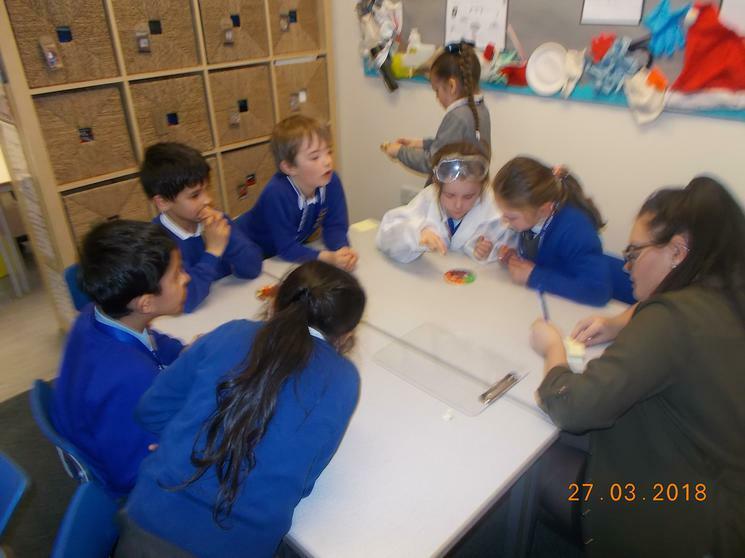 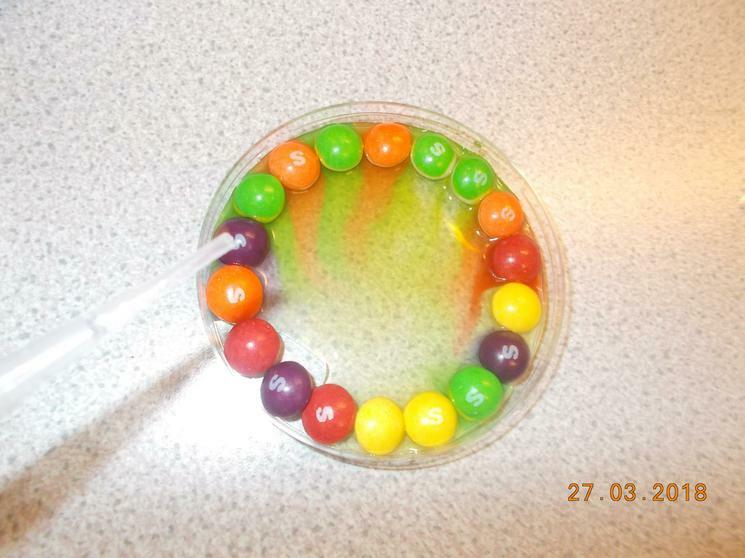 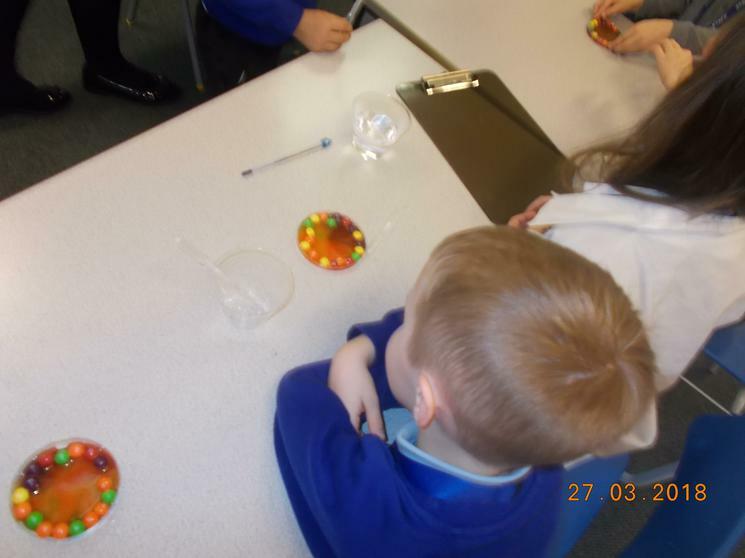 In Science, we experimented with hot water and Skittles. 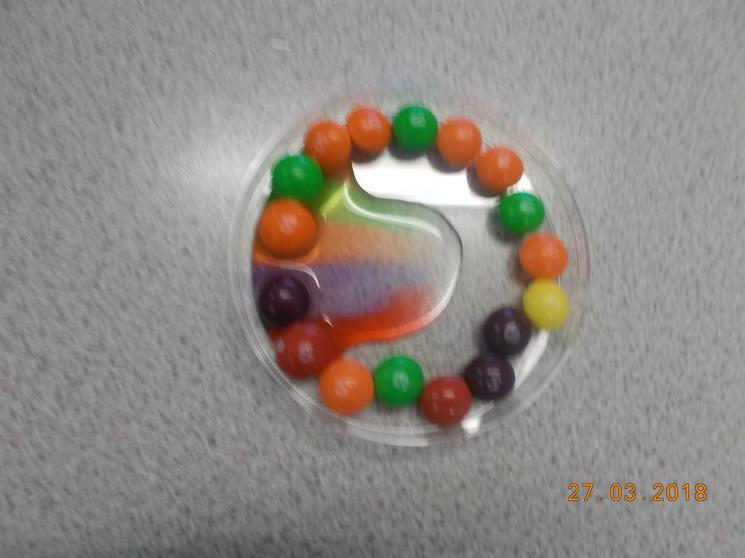 We made the sugar on the outside of the Skittles dissolve. 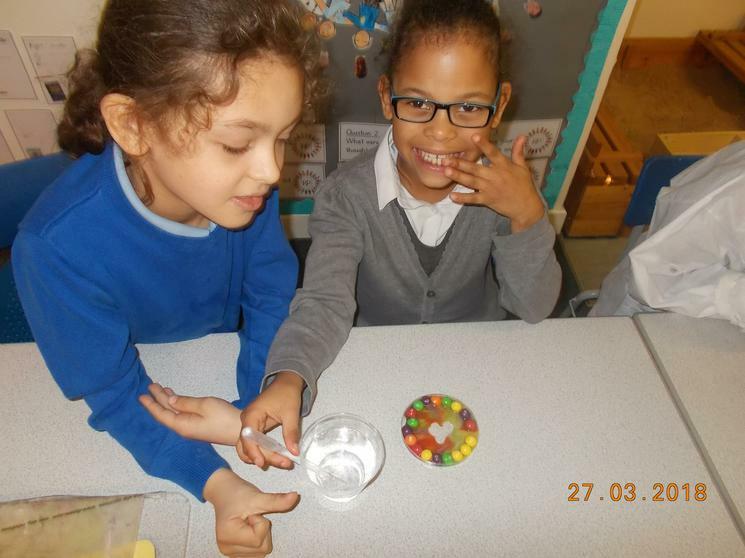 This made the water change colour.